The premise is simple; an unknown cause, possibly a satellite brought back to earth, is making people commit acts of wanton murder, and possibly even cannibalism. The outbreak is gradual at first but seems to spread rapidly. Barbra (Judith O’Dea) and her brother Johnny (Russell Streiner) are visiting the grave of their father, a ritual trip that takes them several hours and only provides a single bouquet of flowers for the grave. This particular day is overcast and slightly ominous, and becomes more frightening when a strange man attacks Barbra in the cemetery. Barbra runs, leaving Johnny to fend off the maniac. She soon finds an abandoned farmhouse and takes refuge. She is soon joined by Ben (Duane Jones), a man who realizes the world has gone wrong and he must do something to protect himself. In the house are other survivors, a young couple and a slightly older couple with a young wounded girl. Ben, a black man, takes charge of the situation in a frightfully effective manner. The simple fact that his race was never intended to be an issue gives the film a deeper, more profound subtext than the onscreen action might indicate. Despite the threat of a great number of murderous and ravenous maniacs, the survivors manage to fight among themselves as much as they fight the walking dead. Survival is portrayed as a dreadful melting pot, reducing everyone to their most base human instincts. Murder, greed, and quibbling for power and food are just some of the ways the survivors interact. Their behavior becomes not much different than that of the undead, who are basic organisms struggling to find flesh to survive. With the simple analogy of zombies Romero manages to make a host of social comments on human behavior. The film is dreadful and terrifying, mostly because of the vast horde of zombies. One or two are easy to kill, but more keep coming. They will not stop until they break down the doors and feast on your limbs, and it is impossible to hide from them no matter where you take refuge. 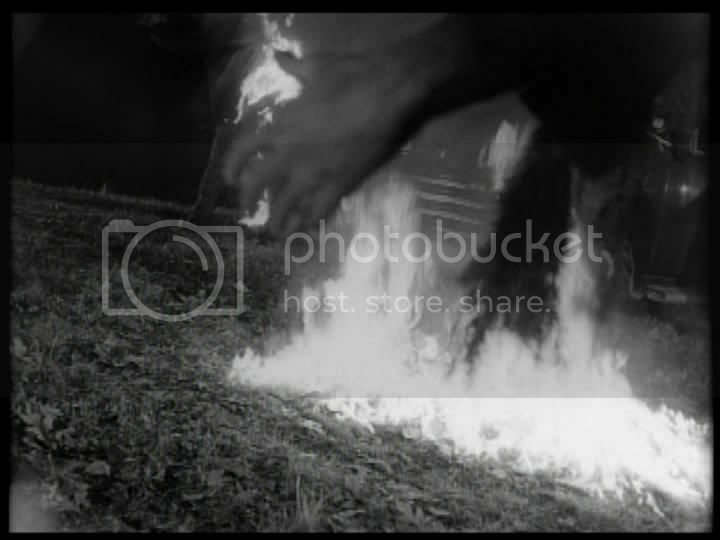 But this is just part of the reason Night of the Living Dead creates such a tense atmosphere of continuous terror. The undead are also frightening because they are so like humans. They are not the faceless Other that so many other horror movies utilize to create terror. They are us, people, stripped of all the trappings of civility and culture. But there is a key difference between the zombies in the film and the survivors. The humans are constantly hoping for rescue, sure that someone will come or that they will be able to reach a safe zone. They fight to survive and are always sure that something out there will help them or enable them to remain alive. 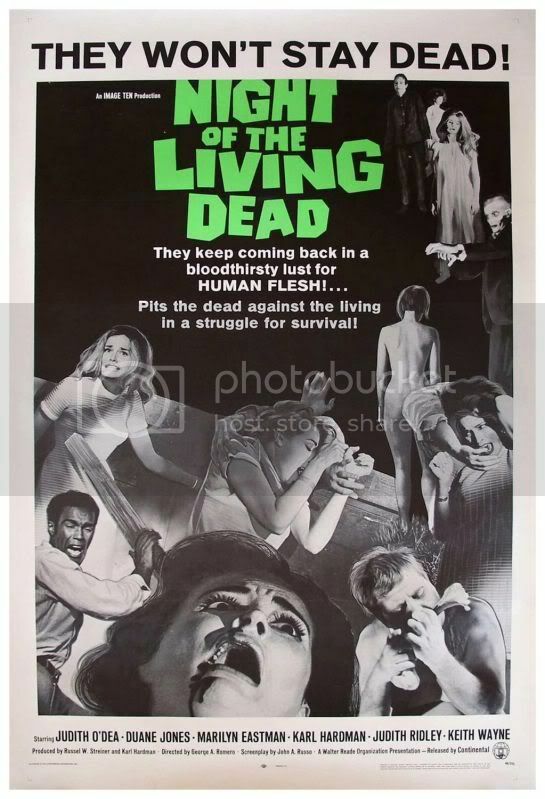 Even if their hope is never fulfilled (at least in the manner they expect), this spark is what truly separates the living from the undead, and gives Night of the Living Dead a more profoundly human context. There had rarely been this level of darkness, of violence, of hopelessness, onscreen before. This was a new kind of horror film, a scary kind of horror film. The genre’s landscape was changed forever. Night of the Living Dead is more remarkable for its cultural effects than it is for its technical prowess, but this does not hinder its impact. The film’s flaws just make it more difficult for modern viewers to appreciate the profound change that it brought to the movie industry. Even a long-time fan of the film will immediately notice some choppy editing toward the beginning of the film, and it is hard to ignore the overt swelling of the stock music that the filmmakers were able to purchase on the cheap. But the atmosphere eventually settles in, and Romero’s deep shadows overwhelm everything else. The zombies don’t stop harassing the small group of survivors as they protect their tiny spit of land, and suddenly any concerns with the production are lost. Night of the Living Dead is remarkable both for its examination of the basic human condition and for its powerful position in film history, not to mention its incredible racial relevance in a nation undergoing a painful Civil Rights movement. Any of these topics could provide material for an entire book, but it would be a mistake to forget the simple, visceral terror that the movie creates. Rarely has a horror film been simultaneously so frightening, so disturbing, and so groundbreaking.